What better gift to give someone than the gift of health. That’s why we turned to natural foods chef and best-selling author Liana Werner-Gray to help come up with a special Valentine’s Day menu. Not only are these recipes delicious and nutritious, but they only take 10 minutes to make. 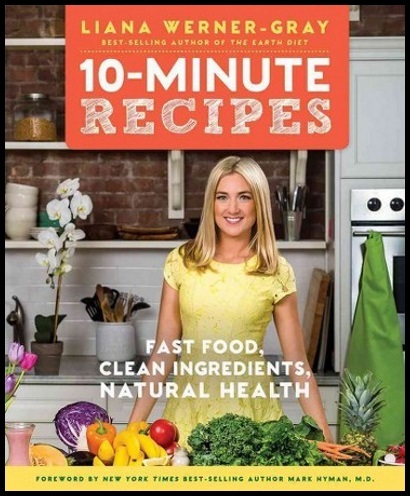 You can find these recipes and more in her latest book 10 Minute Recipes. So easy and so quick! Hail kale! 1. Tear the kale leaves into small pieces and place in a large bowl. 2. Massage the avocado into the pieces of kale with your fingers. Do this so the avocado covers the kale. 3. Add the remaining ingredients to the bowl and stir. You can also continue to massage the mixture with your finger until everything is well combined. *If you or your date prefer a cheesier flavor, increase the amount of nutritional yeast. *Or if you want more protein, add pumpkin seeds. 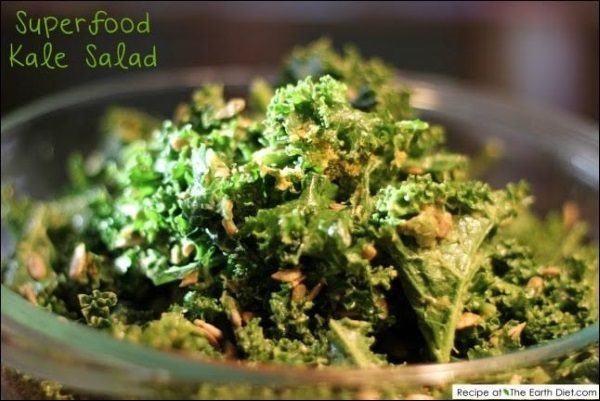 Garlic Kale Salad: Add 2 teaspoons garlic powder or minced garlic. Kale Wraps: Wrap salad in a brown rice wrapper for portability. 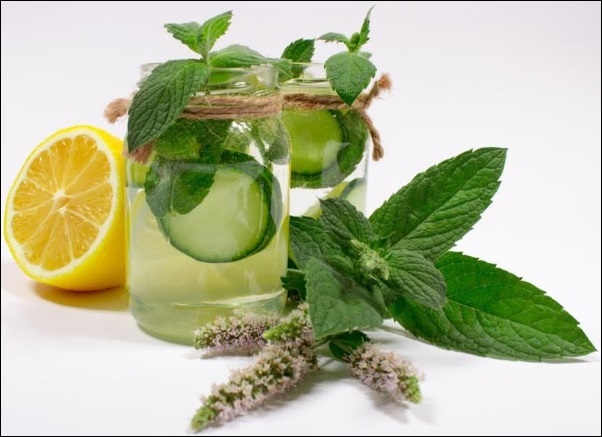 Forget the alcohol, trust us, you won’t even miss it with this oh so delicious non-alcoholic drink! 1. Put coconut sugar on a plate. 2. Slice a lime and wipe it around the rim of the glasses. 3. Dip the rims of the glasses into the coconut sugar so they are coated. Set aside. 4. Juice the pineapple, celery, cucumber, and lime in a juicer. 5. Pour juice into the cocktail glasses. 6. Garnish the rims with lime slices. Serve over ice. For a party-sized pitcher of Cucumber Lime Cocktail, double the recipe. Yes, you can have chocolate! And yes, it’s addictive. But that’s okay, because this recipe is also good for you. 1. Blend all ingredients in a food processor until smooth and creamy. If you don’t have a food processor, you can just as easily mash the avocado with a fork in a bowl, and then add the cacao powder and honey (or maple syrup) to it. 2. Taste. Add more cacao if you want it more chocolatey. Add more honey if you want it sweeter. 1. 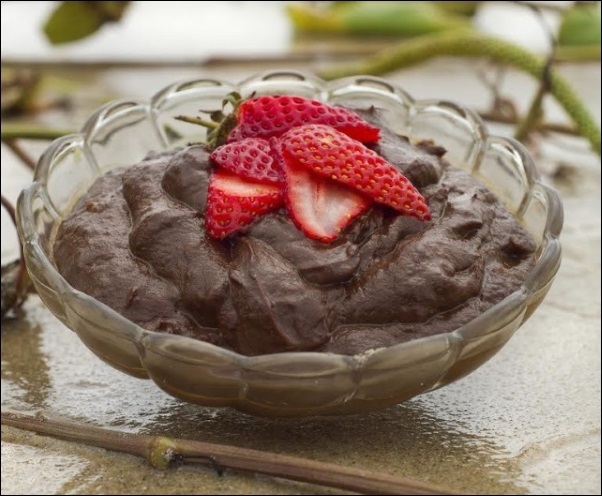 Serve this mousse with fresh raspberries or strawberries. 2. Add ¼ teaspoon pure vanilla extract for enhanced flavor. 3. Served this mousse on top of ice cream or cupcakes.